Fragrant flowers, attractive foliage, pyramidal trusses of highly fragrant white flowers. 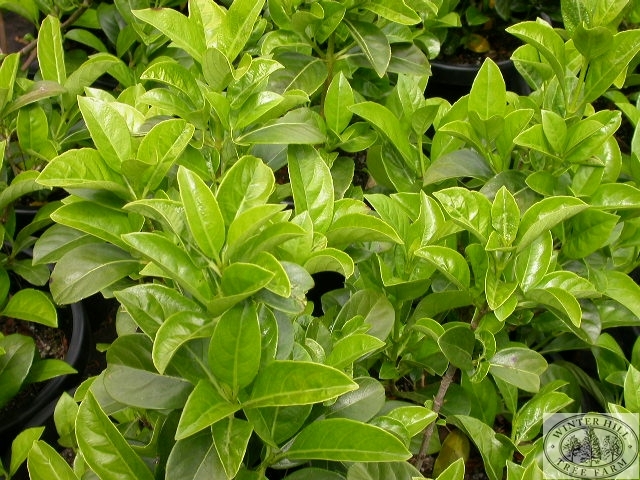 Handsome fresh green elliptical leaves, makes an excellent hedge. We are growing the dull leaf form (see picture) which performs best in both warm and cool climates. Mulch well during summer months to retain soil moisture.